Beats Music has made quite a splash on the music streaming scene. 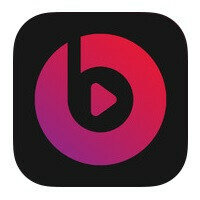 Initially introduced through AT&T in the US, Beats has become one of the most popular music apps you can find on iTunes. Last we checked, it has surpassed everything else except Pandora. Everything that you could find in the iPhone app is featured for the version optimized for the iPad’s larger screen. The iPad update, Beats Music is holding a contest, the winner of which will get a free one year subscription to Beats Music and a new 16GB iPad Air. To enter in that contest, you need to follow Beats’ Twitter account and retweet a promotional message that is meant to spread the word about the new iPad app. While Beats Music has only been available since January, but it has built up a paid subscriber base in the hundreds of thousands. The launch of the service had a few bumps due to demand, and its conversion rate of those who become paying customers after the free trials ended seems to be pretty good. However, the streaming music segment is white-hot competitive. Beats has adapted to entice customers though, recently updating its iPhone app to allow in-app subscription purchases. Beats Music is compatible with Sonos which is handy since most tablet use is in the home. The company says it believes “music should be part of every aspect of life” and so it needs to be easily available anywhere. The Beats brand has strong recognition, so it has that in its favor. A regular subscription costs $9.99 per-month, per-person which is par for the course. However, if you are an AT&T customer, you can get a family deal for $14.99 per-month which covers up to five people and up to ten devices, plus you get a 90-day free trial. Beats Music, in addition to its new found compatibility with the iPad, is also available for Android, Windows Phone and web streaming. "The Beats brand has strong recognition, so it has that in its favor." Strong recognition is all its got going for it...its not that great in sound quality. I thought Beats Music was going to better than Spotify, but it is just terribly lame. IMO, it's not worth spending $10/month on. Maybe $1/month at the most.